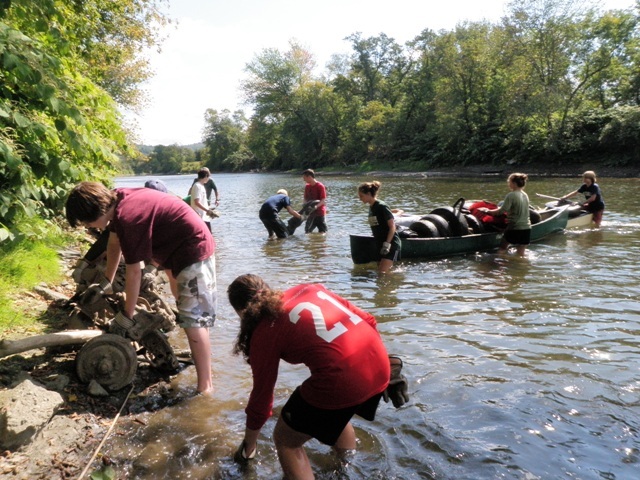 September is Vermont River Cleanup Month, and Friends of the Winooski will be pulling trash from the rivers at several sites in and around Montpelier. We would love your help! We will use canoes to collect garbage from the river. If you have an old aluminum boat that you don't mind filling with tires and scrap metal, we'd love to use it. Please come prepared to get dirty! Wear appropriate clothing, including shoes that can be worn in the river; bring a snack and water, gloves (if you have them) and protection from the elements. This includes both sun and rain. If you have questions, please contact Shawn or Michele by email [firstname] at winooskiriver.org. Meet at Montpelier City Hall, 39 Main St., Montpelier, at 8:30am. 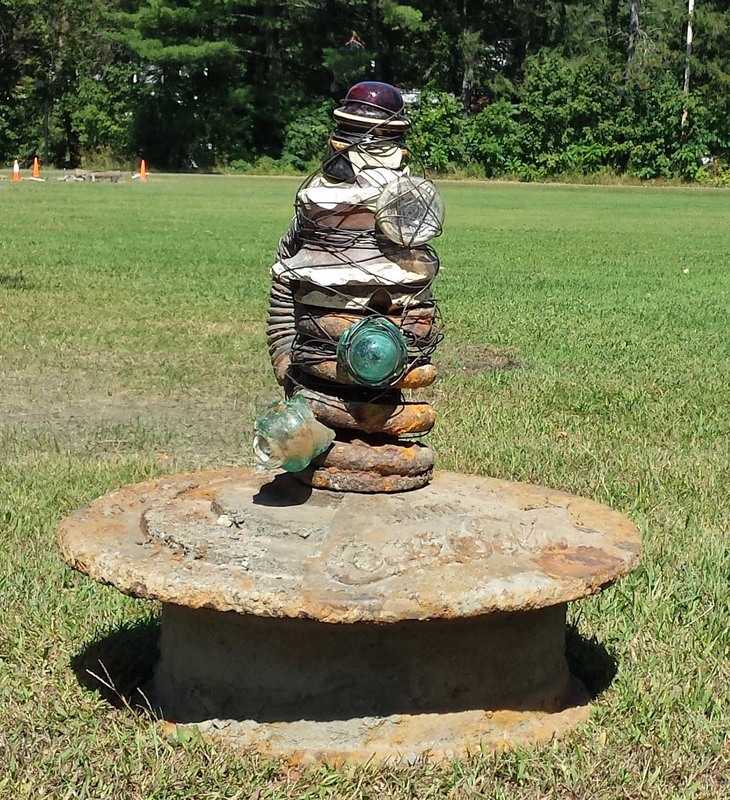 A sample of student river junk art!